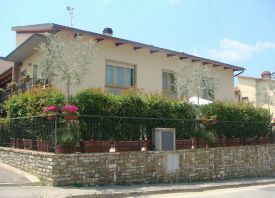 within a 15 minute walk of the main piazza and the Florence bus stop. 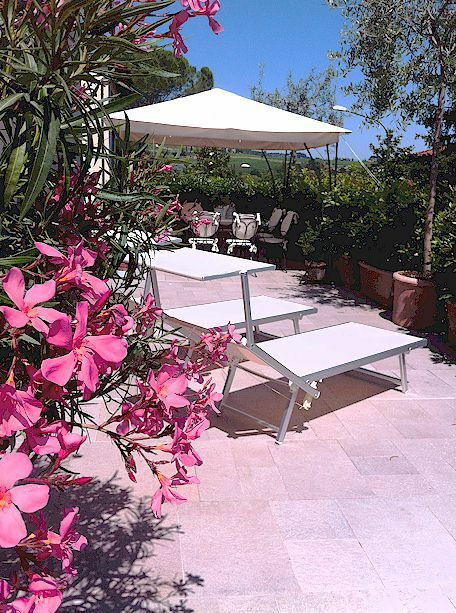 We offer two, modern and newly renovated, vacation apartments with independent entrances as accommodations for your vacation in Tuscany. Guests have the use of the large and sunny terrace which is provided with tables and chairs plus a barbeque. Outdoor dining on summer evenings is encouraged! Parking is readily available in the small piazza nearby. For those who prefer to visit Florence by bus, the bus stop for the comfortable SITA pullman coaches running to and from Florence is 10 minutes walk away from our vacation apartments. 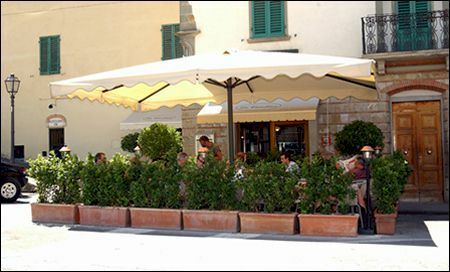 The main piazza of Greve in Chianti, Piazza Matteotti, and all the nearby restaurants, shops, Coop supermarket are 15 minutes or less on foot. 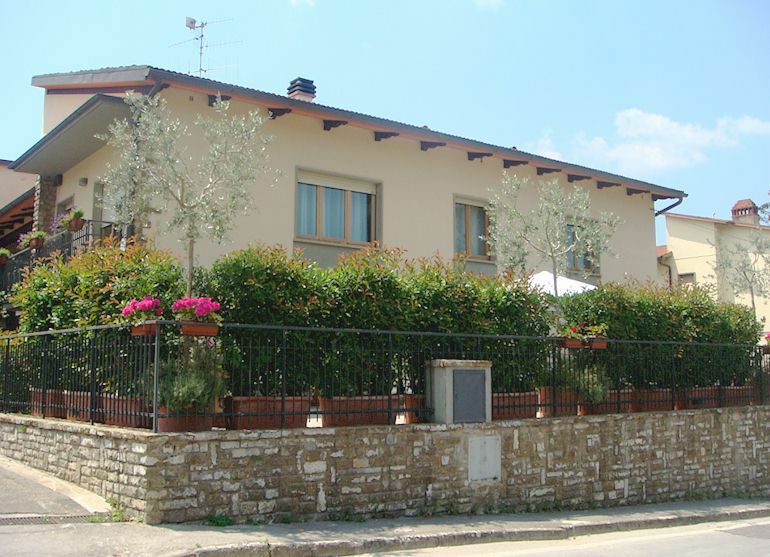 The attractive castellated village of Montefioralle in 1 mile away and can easily be reached on foot. From the main piazza of Greve and from the bus stop in Piazza Trento, walk along the main road in the direction of Florence, pass via A Gramsci and turn right into Via M. Vanni which soon becomes via M. Cavicchi. After a short distance you will be in Piazza 25 Luglio. 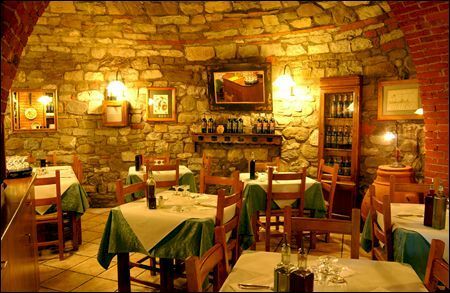 We offer special prices for breakfast, lunch and dinner at our pizzeria and wine bar, "La Cantina", on Piazza Trento just beside the SITA bus stop. Prices below. for the first 7 nights during the period 1 March to 31 October. 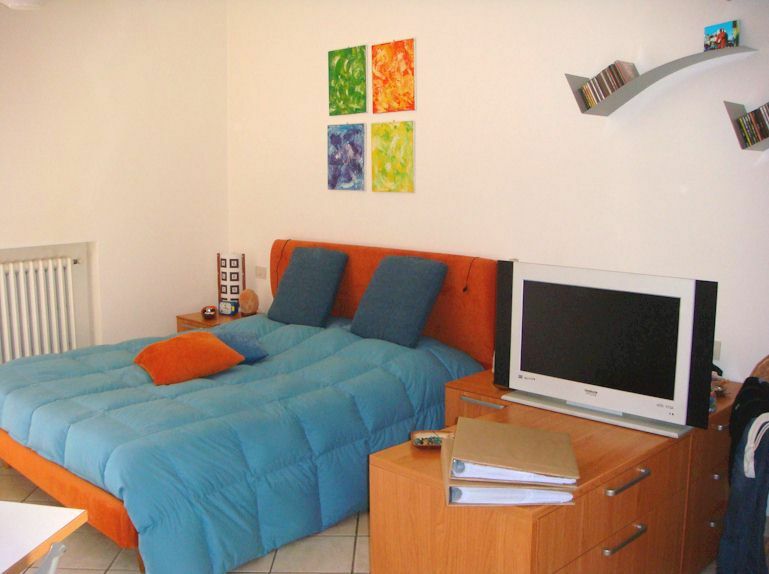 One double bedroom, one twin bedroom, living room with kitchen corner (kitchenette) and bathroom. 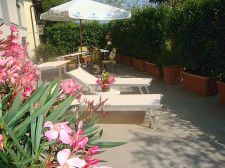 - for 2 persons: price 75 euros per night, 500 euros per week. 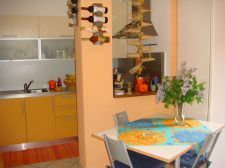 - for 3 persons: price 90 euros per night, 600 euros per week. 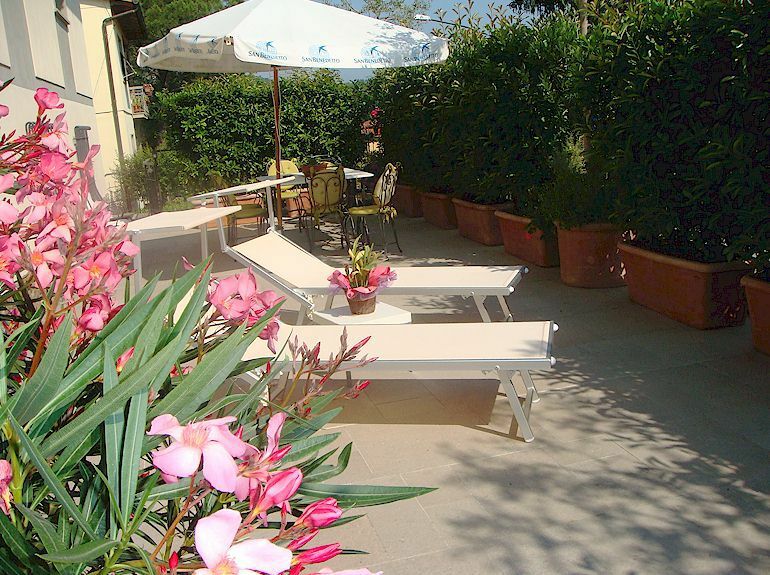 - for 4 persons: price 105 euros per night, 700 euros per week. 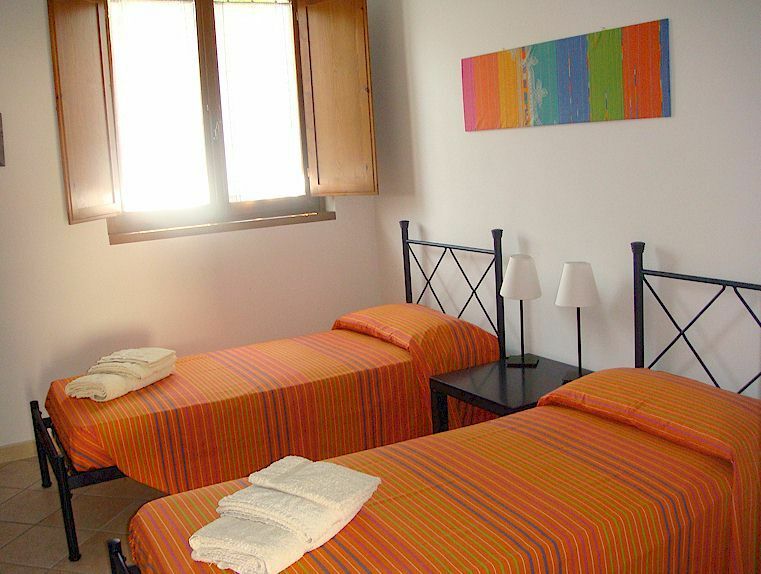 For the period 9 May 2016 to 22 May 2016, the price for 2 persons is 100 euros per day, for 3 persons the price is 130 euros per day and for 4 persons the price is 150 euros per day. 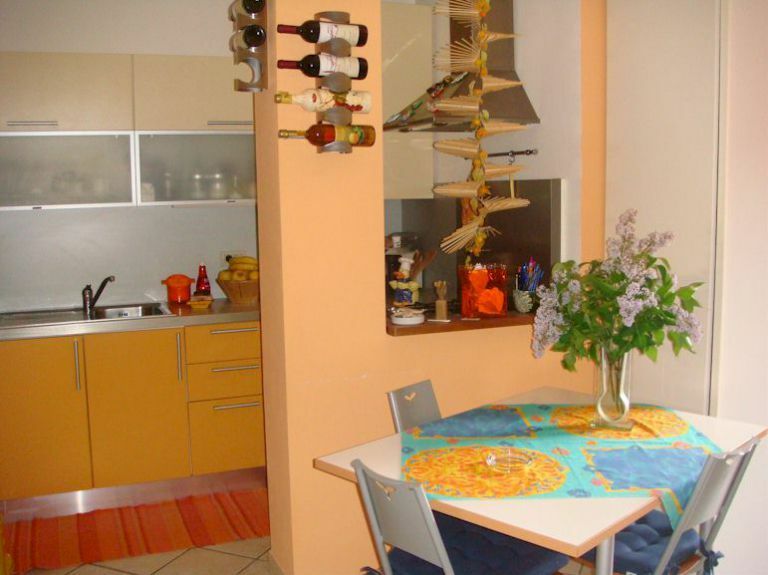 One double bedroom, living room with kitchen corner (kitchenette) and bathroom. 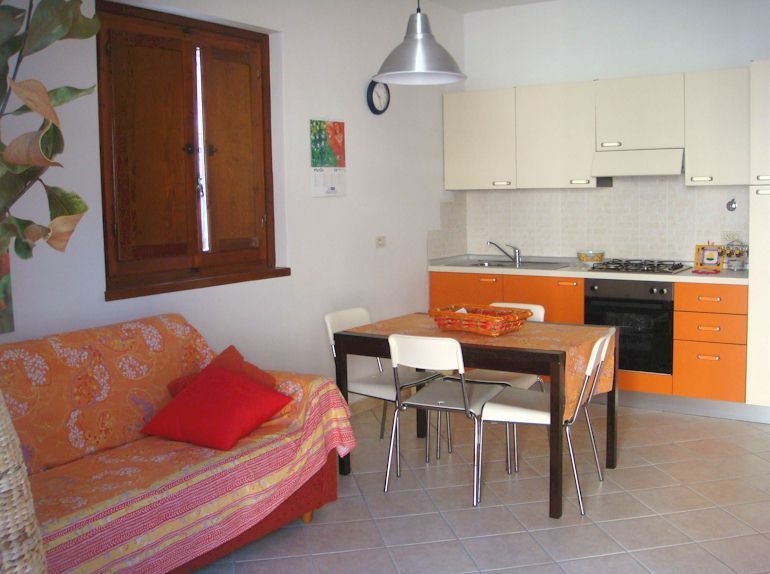 - for 1 person: price 60 euros per night, 400 euros per week. 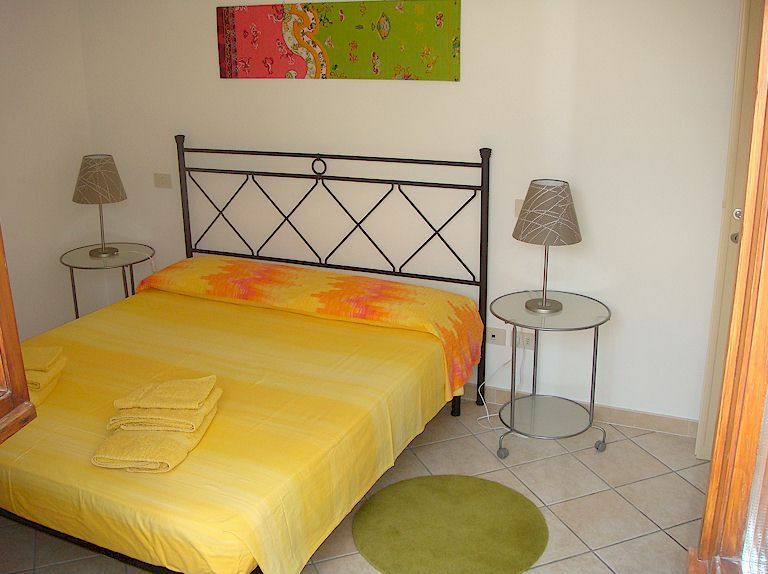 - for 2 persons: price 70 euros per night, 450 euros per week. For the period 9 May 2016 to 22 May 2016, the price for 1 person is 80 euros per day and for 2 persons the price is 90 euros per day. Menu breakfast 5 euros: a breakfast. Menu lunch 15 euros: a lunch or dinner of two courses, dessert,water. Menu daily 17 euros: a lunch or dinner of two courses, drink, dessert; plus a breakfast. Click here to request a reservation or further information. To confirm your reservation, we request a payment of 30% of your full rent. Payment method for your deposit is PayPal. In the case of a cancellation made more than 30 days prior to arrival, we will refund your deposit. Please pay your full rent in cash upon arrival.